Football, traveling, current affairs, sweet tooth, new media. Tell us a bit about your path to Google? I’m originally from Bosnia and Herzegovina (Sarajevo), but I’ve lived half of my life in the Czech Republic. I earned a dual degree from the American University in BiH, Bosnia and the State University of New York. 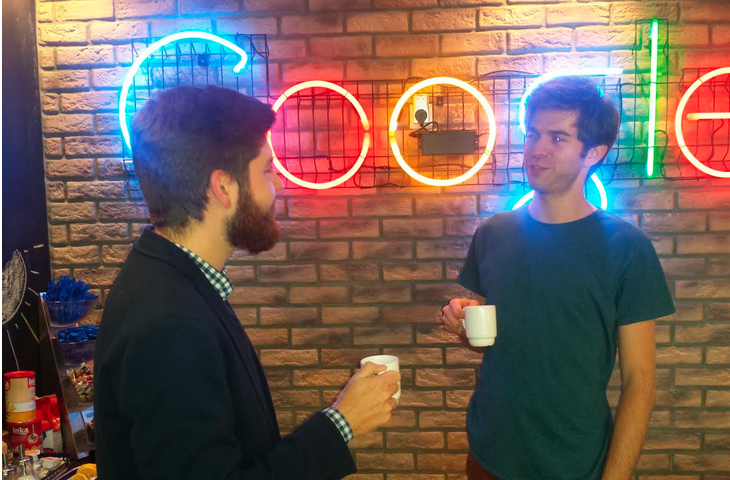 Right out of university, Google seemed like the right choice for me, as it offered me the chance to work at a pioneering company in the online world, that is constantly setting new standards. I also knew that joining Google meant I’d be working in an environment where I would have a high quality work life — the company is often rated the best employer, globally. I felt reassured when applying and accepting a Google position that I’d be working with like minded colleagues, as the Google’s Wroclaw office in Poland is filled with people from all walks of life, different backgrounds and cultures — I fit right in. 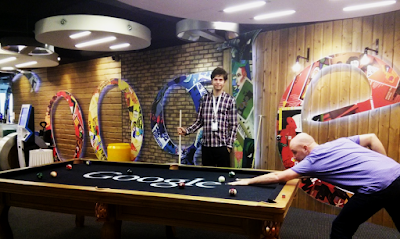 Why did you choose to go work at the Google office in Wroclaw, Poland? The geographical location of Poland was very appealing to me, as it’s very close and well connected to other major cities, such as: Prague, Berlin, Warsaw and Vienna. I’ve also found Wroclaw to be a very beautiful place to live. The city is not too small, or too big, rather it has a perfect mix of a young vibrant atmosphere, with great potential and history. The Google Wroclaw office is very cozy and offers some great features like the office gym and a game room. Since I arrived, I’ve also seen lots of growth take place — as the facilities have expanded and several new teams have opened up — I’ve seen the emergence of more and more opportunities for career development. What makes the Wroclaw office different from any other Google office? There is a very family-like atmosphere and the attitude is very positive. There are many people from all over the world here, and everyone contributes in their own way to the culture of this office. The Wroclaw office is smaller than say the Dublin office, which makes it easy to make new friends and contacts. How does working in the Small and Medium Business (SMB) team give you opportunities for personal and professional development? By engaging with customers on a regular basis, I’ve gained immense knowledge in the field of online marketing and how this matters for small and medium businesses. The DACH (Deutschland, Austria & Switzerland) market is also, in comparison to other markets in Europe, the Middle East and Africa, very advanced and sophisticated, which means that SMBs are relatively large corporations and advanced advertising agencies. I’ve also learned a lot about how different teams within Google function from an operational side and gained first-hand experience in managing stakeholders, as I’ve had the opportunity to co-manage short and long term projects that have had direct impact on the business. Google encourages internal mobility and is known for enabling its employees to find what’s right for them. The opportunities are definitely there, you just have to find what’s right for you! The people I work with — this is Google’s biggest asset. 8:45AM: Start off the day with breakfast and coffee. 9AM: Get into the swing of things. Go through my inbox and respond to client calls and emails. 2PM: Back to work. I spend some more time contacting our clients, and then I usually go for meetings regarding projects and roles I am working on. 6PM: Call it a day! Sometimes I go to play football with the Google team or stop by the gym. What makes a person a good match to join the SMB Global Customer Experience team? In my opinion, the ideal person should have a very customer-centric approach and a passion for new technologies, online-advertising and self-development. They should also have strong communication skills, an interest in working directly with clients, have a self-starter attitude and sharp analytical skills. I love traveling and exploring new places, either near Wroclaw, or by traveling to different continents. I’m also a big sports fan, so whenever I can, I try to follow as much of it as possible. What advice would you give a student candidate interested to apply for SMB Global Customer Experience team? First of all, it’s important to be genuinely interested in the roles that SMB Customer Experience team has to offer, not just to become part of Google as a whole. I would also suggest that you come up with a list of your skills and experiences that you would bring to the team and which would help you succeed in the organization. Make sure you are fully aware of what the role entails and prepare your interviews accordingly.